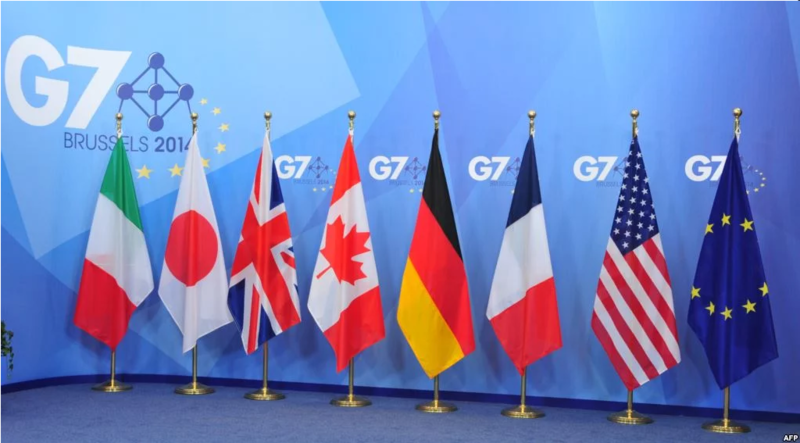 Leaders of G7 countries agreed to jointly react to actions of "hostile states"
Leaders of the G-7 countries at the summit in Canada agreed on the creation of a mechanism for responding to the malicious acts of "hostile states." This is stated in a press release of the British government. "British Prime Minister Tрeresa May said that the new agreement makes it clear: the malicious actions of Russia or other states will not remain unanswered," the report said. "I welcome the agreement among the G7 leaders on the exchange of information, coordination of actions and the development of strategies to protect our democracy in order to confront threats," said May. The agreement provides for the creation of a new rapid reaction mechanism for G7 countries in the event of various international threats, such as cyber attacks, the NotPetya virus, or incidents similar to the poisoning of ex-colonel Sergei Skripal and his daughter Yulia in Salisbury. "Within the framework of this mechanism, countries will exchange intelligence on hostile activity, necessary technologies and practices, improve mutual understanding between partners and cooperate to strengthen the infrastructure of states," the press release notes. "I welcome the recognition by the G-7 of the need to maintain sanctions against Russia, considering the inconsistency of the Russian Federation to fully implement the Minsk agreements in Ukraine," May stressed. "We agreed to remain ready to continue to take restrictive measures against Russia if necessary," she added. At the same time, Canadian Prime Minister Justin Trudeau said that the possibility of Russia's return to the G8 has not been considered at all. As reported, US President Donald Trump accused the administration of Barack Obama that it allowed Russia to annex Crimea, and again supported the return of Russia to the G8. Russian Foreign Minister Sergei Lavrov said that Russia has never asked to return it to the G8. We recall, US President Donald Trump before the flight to the G7 summit on Friday supported the return of Russia to the club of the most influential states of the world. European members of the G-7 are convinced that this is impossible until the Ukrainian question is resolved, German Chancellor Angela Merkel said. Russia was excluded from the group of countries with the most developed economies after the annexation of the Ukrainian Crimea in 2014. Today the group includes Great Britain, Germany, Italy, Canada, USA, France and Japan.